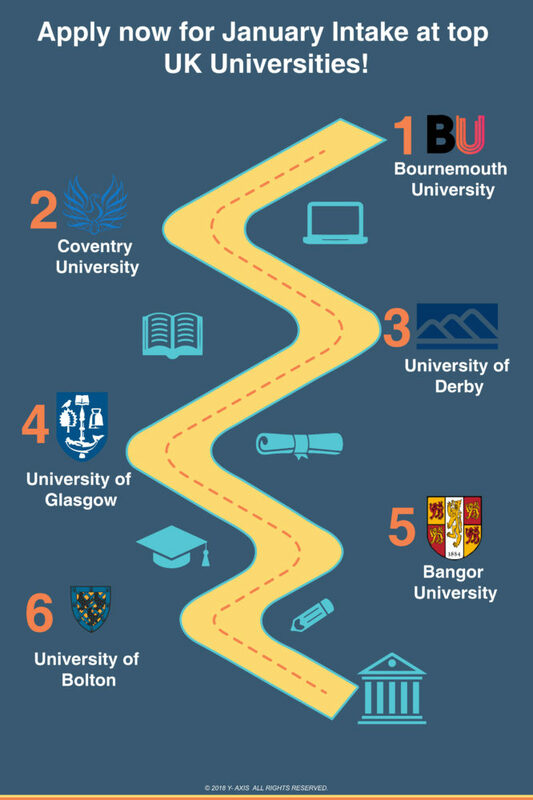 Apply now for January Intake at top UK Universities! So you have missed the deadline for September intake at top UK Universities. You need not lose heart as you can apply for the January intake. Entering UK Universities in January intake is perfect for select students. It includes those who need additional time for completing the pre-university study. Those who need more time to apply for funding or their visa can also opt for this intake. It is advisable that you begin the process for admissions in August /September. This will offer adequate time to arrange all the requirements on time. This includes all the documentation, choice of UK University and course. You can also enhance your skills in the English language if required. Give your best for your SOP and apply for your UK Student Visa, as quoted by the Guardian. The choice is further slightly limited in January intake in comparison with September. However, there are a plenty of options available for Study in the UK. It is also possible that the university that you prefer may also have a January intake. The choice is larger for foundation and Master’s programs. Meanwhile, you will have to be extra flexible if you plan to commence your Bachelor’s degree in January intake. As an aspiring overseas student to the UK, you must also bear in mind that subjects vary depending on the nation. You may thus miss out if not backed by adequate research in terms of courses offered by UK Universities. Y-Axis offers a wide range of visa and immigration services as well as products to aspiring overseas students including IELTS/PTE One to One 45 min, IELTS/PTE One to One 45 min package of 3, Student Visa Documentation, 5 course search with admissions, 8 course search with admissions, Country Admissions Multi country, and Study Visa for UK. If you are planning to Visit, Study, Work, Invest or Migrate to UK, talk to Y-Axis, the World’s No.1 Immigration and Visa Company. Exciting update for Overseas Students in Canada and UK!